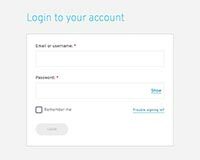 Users may import a group of endpoints into the 9-1-1 Access portal in bulk using a .CSV spreadsheet. This may be useful if you have a large group of telephone numbers to add all at once or if you would like to import address updates into the system. This way, you can update or add up to 5000 endpoints at a time quickly and easily! 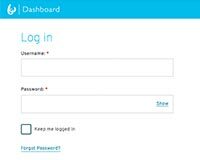 To begin, first log into the 9-1-1 Access portal. The sample file will download into your web browser. Give it a click to open. Column A: Type your telephone number. Be sure to remove formatting and to prefix your number with a 1. Column B: Type the caller name. Columns C-H: Provide the endpoint address. Columns I & J: Leave these blank. Column K: Provide comments about your end-user. Keep in mind these comments are for your internal use only and do not display to the 911 operator. Once you've completed your import file, save it as a .CSV file. Navigate back to the 9-1-1 Access portal. Under the Batch CSV Import section, click 'Choose File' and locate the file you just saved. Then mark the option to 'Add or update endpoints from file'. Note: To remove a batch of endpoints, mark the ‘Remove Endpoints from file’ option. Remember: If you’re removing endpoints, each cell in the spreadsheet still has to be filled out with data. A batch number for your file will display in the top green banner, and under the ‘Batch Import Status’ section. Check your results to ensure that there are no Errors in your file. If there are rejections, you will see a red banner that displays ‘Current Status: ERROR’ paired with a comment on how to correct the issue. 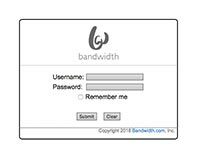 For assistance troubleshooting any import Errors, feel free to open a ticket with our Account Management team via the Bandwidth Support center. One of our support representatives would be more than happy to assist you.